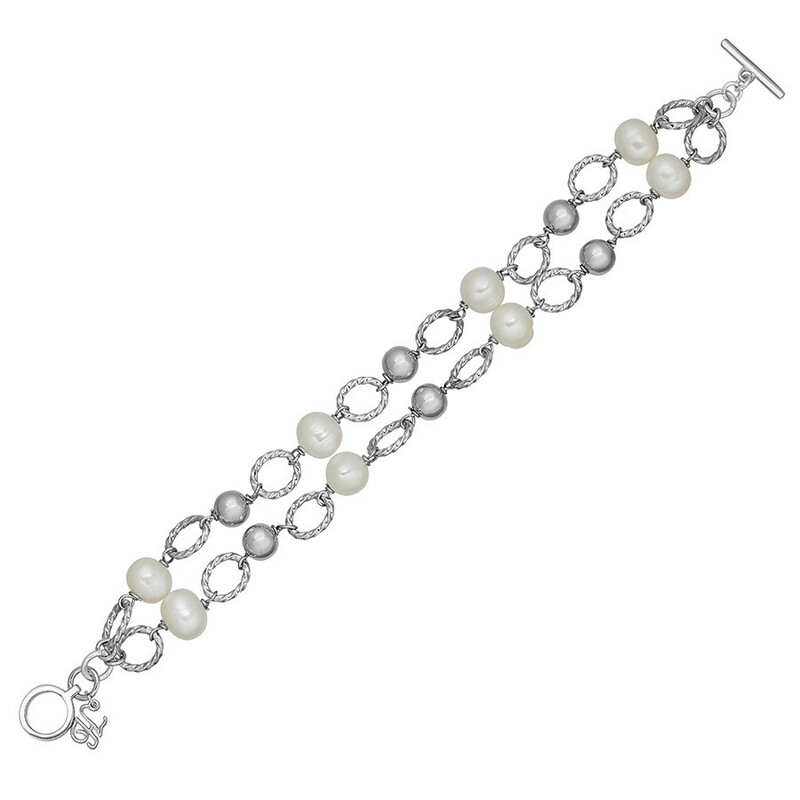 This two-row sterling silver bracelet from Honora's Chain Reaction collection has pretty 8-9mm freshwater cultured pearls, both free-standing and complemented by precious metal, alternating between twisted, open oval links. The toggle closure ensures that the pretty piece is easy to put on and take off. 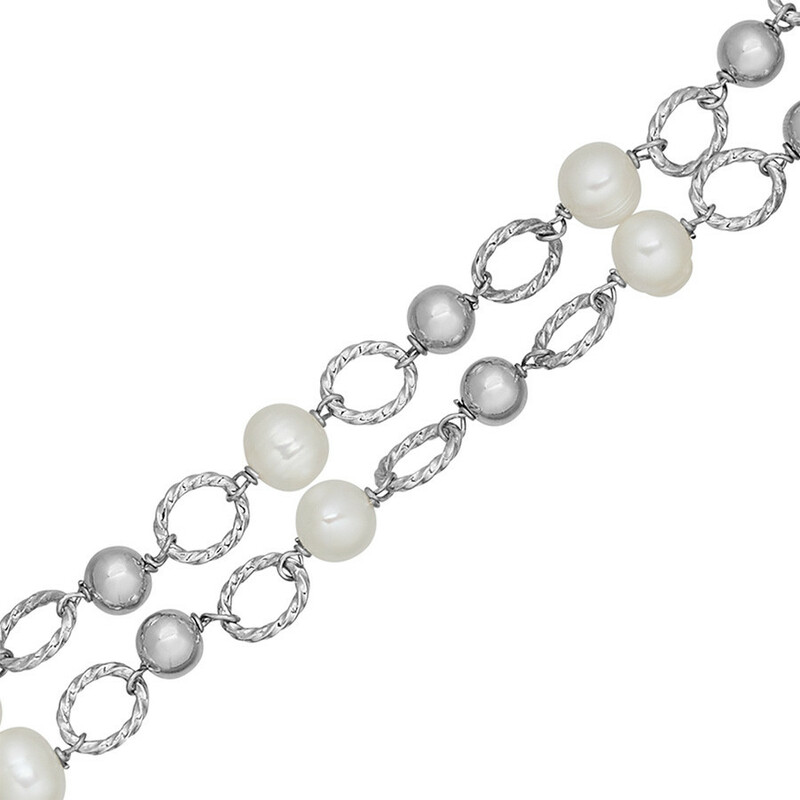 You're bound to get nothing but positive feedback on this Honora!